FlixMobility is a global mobility provider offering new alternatives for convenient, affordable and eco-friendly travel across the brands FlixBus and FlixTrain. Due to a unique business model and innovative technology, the start-up has quickly developed into Europe's largest long-distance bus network and launched the first green long-distance trains in 2018. In addition, a pilot project for fully electric and emission-free buses in France and Germany was launched. Since 2013, FlixMobility has changed the paths of over 100 million people traveling across Europe and creating thousands of new jobs in the mobility industry. In 2018, FlixMobility launched FlixBus USA to bring this new travel alternative to North America and offer rides in the United States. 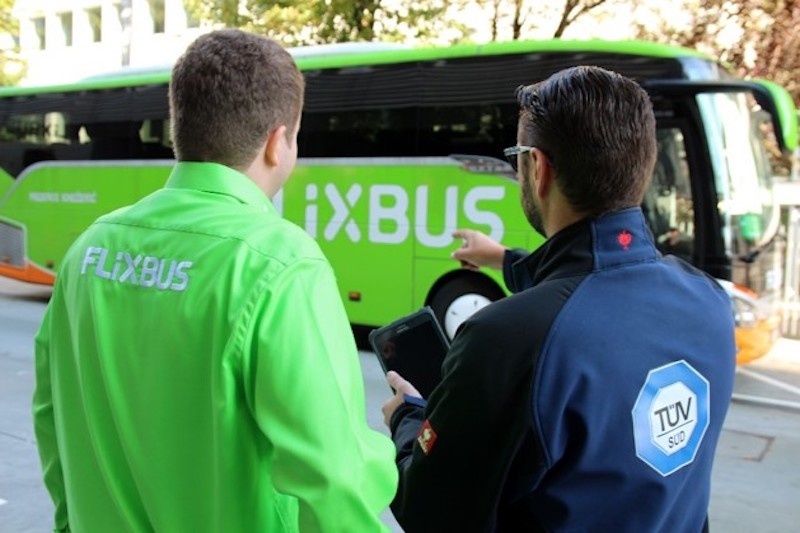 The company FlixBus uses digital checklists, which are based on defined specifications, in order to capture quality and service standards during ongoing operations. The forms usually contain easy decision questions, which are answered with yes / no. On top comments and photos are directly added to the forms. An intuitive operation via mobile devices such as smartphones was one of their biggest requirements. The finished forms are used by FlixBus employees worldwide. "MoreApp is a great alternative to expensive and time-consuming programming. MoreApp allows us to quickly create new forms and share them with all our stakeholders around the world," said Max Schumacher, quality control officer at FlixBus. How was data previously captured in the company? Mostly paper lists and various other software solutions were used to do so. But soon the bus company faced some challenges - the scalability and reliability of data acquisition were limited. Ultimately, the question was in which way FlixBus can create an effective tool by implementing MoreApp, without having to invest continuously in the existing infrastructure. The solution is MoreApp! Now FlixBus is able to capture data worldwide and evaluate their results in a structured manner. Thus, the top bus and train provider gets a better insight into its existing fleet and is therefore always up to date. The FlixBus brand is always on the move. Just like the company itself, software solutions nowadays should be flexible and adapt to fast growth and immediate needs. With MoreApp, FlixBus has been able to increase its scalability immensely and now has the opportunity to use MoreApp for a wide range of applications in an ever-growing market. Especially the areas of quality and service are always relevant. In the future, new and existing work processes will be further automated. Which added value does MoreApp offer in contrast to other solutions? Photos can be captured and added directly to digital forms, such as checklists. In the future, Europe's largest bus network will try to integrate MoreApp into its existing system landscape on a larger scale to work even more effectively. Would you also like to digitise your paper forms while protecting the environment? Then start with MoreApp now!